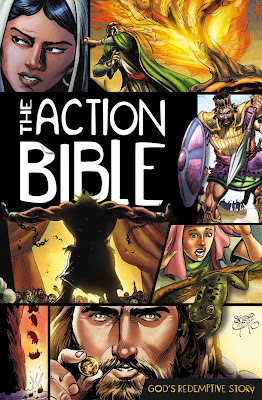 Confession is a healthy practice, so here’s one: I have always loved comic books. I grew up on a healthy diet of GI Joe, Spiderman and X-men; I was definitely a Marvel guy. Although my wife and I are actually working on two graphic novels, time and interest for actually reading comics has waned considerably over the years and I have rarely picked one up – a few exceptions being the Bone series, Doug Tennapel’s graphic novels such as Ghostopolis and Bad Island, and a manga series I’d rather not name for the sake of my (already shaky) reputation.